Very few steps to finish Wi-Fi setup. Step1, Use your smart device's Wi-Fi connection setup, connect to the iMeter's network, which will show up as iMeter_xxxxxxxx (xxxxxxxx is unique SN of iMeter). No password required. 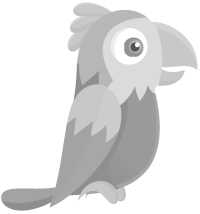 Step2, Whilst connected to the iMeter's network, open a web browser and navigate to http://11.11.11.1; Enter the username "admin" and password "admin". 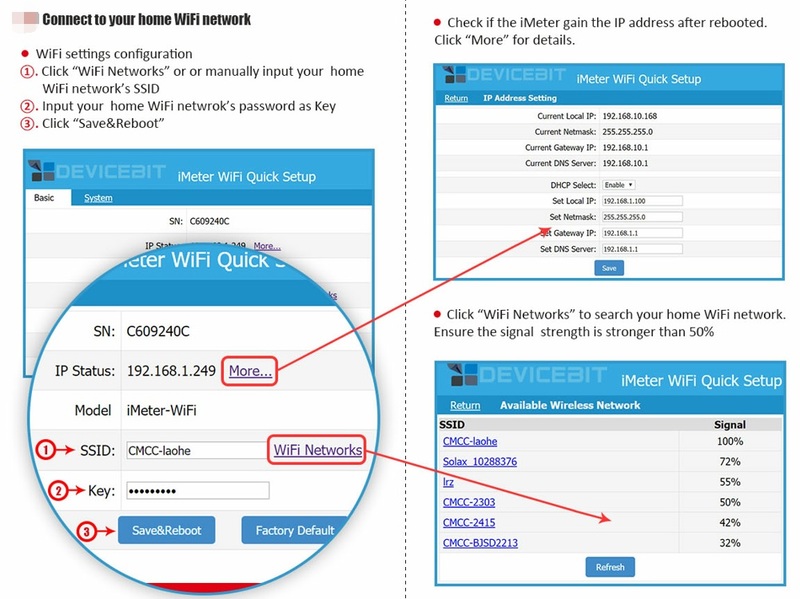 Step3, Connect to home router by clicking "WiFi Networks" or manually input home router's SSID (your home Wi-Fi networks' SSID) and Key (your home Wi-Fi networks' password) and then click "Save&Reboot"
http://11.11.11.1/ on browser and check if the iMeter gain the IP address. Click "WiFi Networks" to search your home WiFi network. Ensure the signal strength is stronger than 50%.